When registering, as appropriate, you may be asked to provide the following information: name, e-mail address, contact number, and other personal details. On the other hand, you may opt to browse our site anonymously. The e-mail address you register with may be used to send information and updates pertaining to your order, in addition to receiving newsletters, bonuses and promotions, and other services. Cookies are small files that a site or its service provider transfers to your computer’s hard drive through web browsers that permit the sites or service providers to recognize your browser and store and remember certain information. If you prefer, you can also choose to have your computer set notifications whenever a cookie is being sent, or you can opt to deactivate all cookies by adjusting the browser settings. Like most websites, if you turn your cookies off, some services may not function properly. However, you can still complete orders through telephone or by keeping in touch with customer service. We do not sell, trade, or share personally identifiable information with outside parties. This does not include trusted third parties who assist up in operating our website, conducting our business, or servicing you, so as long as these parties to keep this data confidential. We may also release your information when we believe that it is appropriate to comply with the law, enforce our site policies, or protect ours or others’ rights, property, or safety. However, non-personally identifiable visitor information may be provided to other parties for marketing, advertising, other purposes. 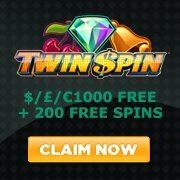 We are not the official website for Twin Spin slots nor are we connected to NetEnt. We are in compliance with the requirements of COPPA (Children’s Online Privacy Protection Act). We do not collect any information from users under 13 years old. Our website, products, and services are all exclusive to people who are at least 13 years or older.